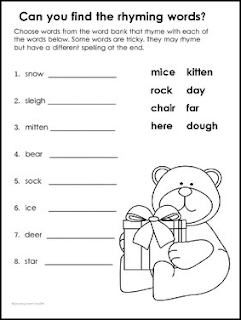 Winter Holiday Fun Pack is a mini pack of collected pages from 4 favorite holiday products in my store.These were specially picked with literacy centers and independent work in mind. Great for centers, independent work, buddy work, or early finishers! Be sure to check out my other holiday resources that target fluency, word work, spelling, and writing skills. Thanks for your interest! Your business is greatly appreciated!